Your family is your joy, your pride and your world. And you strive to give them a life full of cheerful and happy moments. However, life has its uncertainties and risks. For this, you would require an investment plan that is flexible enough to keep up with the changing circumstances of life. Flexilife is a unit-linked plan to help you secure your family’s future with a wide range of benefits and options to meet a variety of different financial needs and make your ‘Har Pal Mehfooz’. 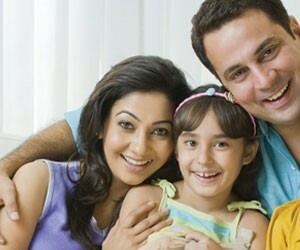 Flexilife is a Unit Linked Plan which is subject to investment risk. MCB Bank Ltd. is acting as a distributor of FlexiLife on behalf of JLI Life, and is not responsible in any manner, whatsoever, to the customer, his/her beneficiary/ies or any third party. All MCB Bank FlexiLife applications are processed and approved by JLI Life, as per their underwriting guidelines. MCB Bank Ltd. is not responsible for the processing and approval of these applications in any way, whatsoever. Sum Assured is the guaranteed amount payable on death. The sum assured is determined as the basic annual premium times the “Protection Multiples”. The “Protection Multiple” may be chosen from a range depending on the basic annual premium and the age of the life assured. For example, if the age is 25 years, basic plan premium is Rs. 100,000, Cover Multiple chosen is 20 then Sum Assured will be Rs. 2,000,000.